It’s been a fantastic year at SheDoestheCity…we’ve grown together, and despite the not-so-great news around the world, we’ve committed to celebrating and sharing the inspiring stories of powerful, interesting and change-making women like YOU! We love you ALL to bits, so to thank you for all your support, this year we’ve put together our BIGGEST AND BRIGHTEST Holiday Sparkle Giveaway EVER. One lucky reader will win the whole pot, so tweet/share/like this to infinity, and we’ll hook you UP. There are FOUR WAYS to enter to win these incredible prizes, valued at over $1,700! 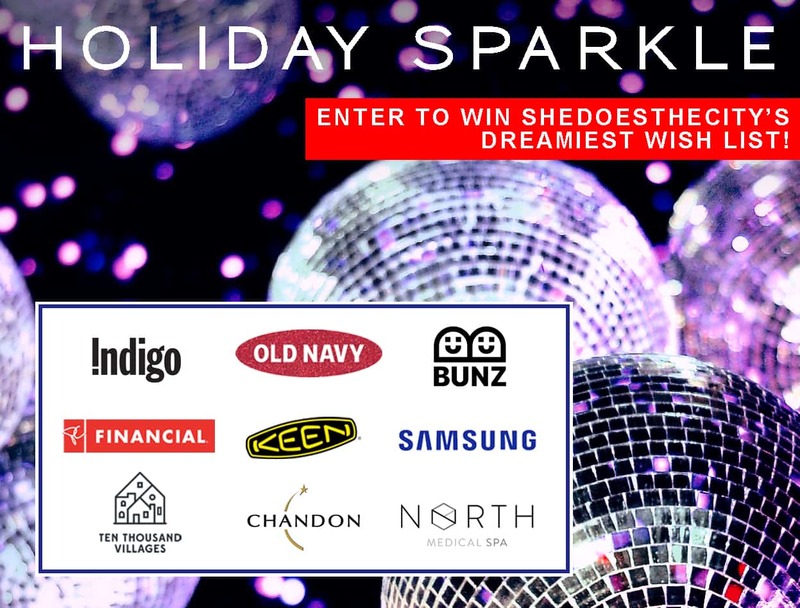 Email: contests@shedoesthecity.com with subject line “HOLIDAY SPARKLE 2018” and share your favourite holiday memory with us. Watch for select Holiday Sparkle posts, then LIKE + COMMENT. 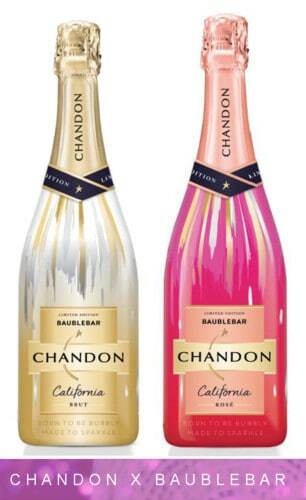 Pop a bottle (or two) of Chandon Brut + Chandon Rosé LE, and you’ll be the real MVP at your next holiday shindig! And because we know you were made to sparkle, top yourself (or your hostess) with a fab piece from the limited-edition collaboration between Chandon and BaubleBar…maybe the Contessa Tassel Earrings or Aimee Layered Y-Chain Necklace is your thing. You were born to be bubbly, baby! You’ll feel like a true celeb luxuriating at Toronto’s top medical aesthetic spa! Your visit will include a full consultation using the Visia™ Skin Analysis System, a cutting-edge technology that analyses all aspects of your skin and face. They’ll go over your results and customize a results-driven treatment plan specifically for YOU. 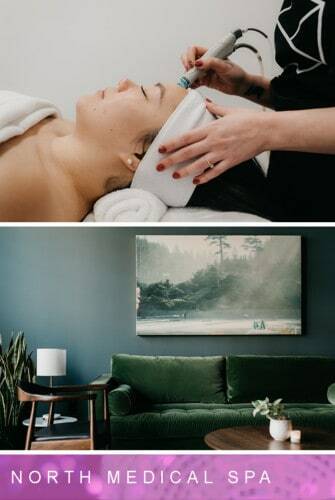 Then, you’ll enjoy a signature HydraFacial. This multistep facial treatment will cleanse, exfoliate and remove impurities and dead skin cells while enriching your parched winter skin with vital nutrients like antioxidants, peptides and hyaluronic acid. Then, to protect your smooth-as-silk skin, you’ll be given a specialized SPF treatment with AlumierMD. With six options to choose from, your skin will be well-protected from the harsh TO air. Total visit is valued at over $200. If you think you can’t be warm AND look cool, you have another think coming! We are OBSESSED with KEEN’s Belleterre Collection; think super toasty insulation from chills (to minus 20 celsius), seam-sealed (and waterproof) synthetic leather, and vulcanized construction, so they’ll slide right on like your fave sneakers. Lightweight, comfy and snug, you won’t have to turn down any invites this winter; KEEN will get you where you need to be in style! Want to give the most memorable gift this year? Give a gift that tells a story! 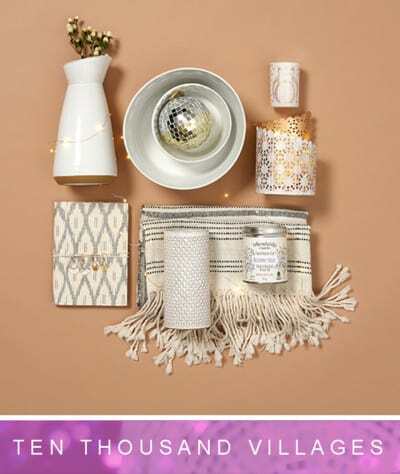 Indigo has meaningful gifts for EVERYBODY on your list, and their exclusively designed products, available in store and online, make the holidays easy and fun. Plus, you can also shop for decor, entertaining essentials and tree adornments while you’re at it, freeing up more time to actually make those magical moments happen. 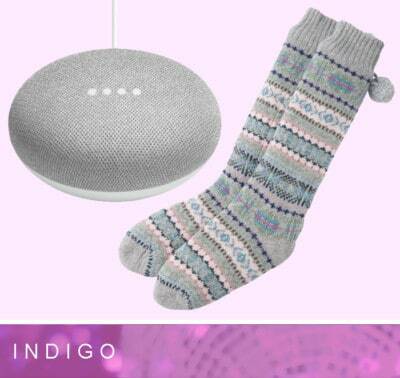 And because we know the holidays are the perf time to stay in and reflect, Indigo is hooking our winner up with a Google Mini, a pair of the coziest Reading Socks and one of their best books of 2018! Lounge in comfort after all the presents are wrapped, sip a hot chocolate and dive into a delicious novel, courtesy of Indigo! Get ready for the performance of a lifetime! Alvin Ailey® American Dance Theater is returning to Toronto after a looooong three-year absence, and we’re giving away two tickets to their performance next February! 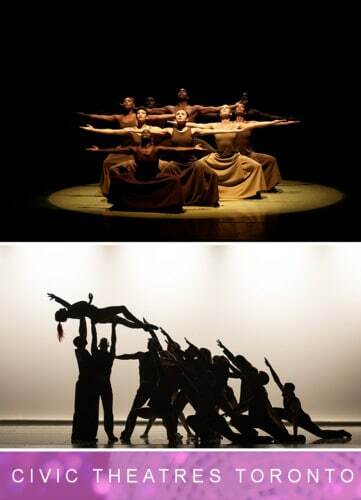 Hailed by the The New York Times as “possibly the most successful modern dance company on the planet,” the Alvin Ailey® American Dance Theater is heralded as America’s Cultural Ambassador to the World. In addition to this iconic show, you’ll also receive two tickets to attend BJM – Les Ballets Jazz de Montréal – Leonard Cohen’s DANCE ME at the Sony Centre on Friday, March 1, 2019. This moving homage to the rich and profound work of the late poet, artist and songwriter sold out in 2017. The total value of this incredible prize is $460. OMG! 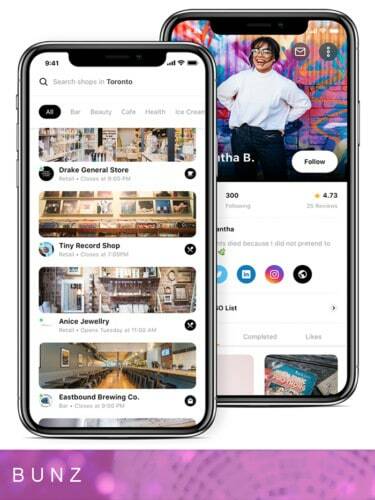 In case you didn’t know, BTZ is a new-ish cryptocurrency to the Bunz app, and our lucky winner will score A LOT of it to spend trading on the app, or at over one hundred local retail, locations from Drake General Store to Get Well (full list here). We’ve been behind BUNZ since day one and are all about reducing waste (while saving money) by trading on the app. The best part? With the introduction of BTZ, you can now get rid of the stuff that’s been collecting dust in your closet without acquiring more stuff that you probably don’t need. Instead, turn your BTZ into holiday gifts or eats—there are loads of bars and coffee shops we love on that list! $100 Gift Card from OLD NAVY: SNOOZE #YOUR❤OUT! This year, let’s put our HEARTS back into the holidays. Get ready to do a little #extra: think OVER-THE-TOP THOUGHTFUL GIFTS (and outfits! ), high-wattage happiness & an abundance of MORE IS MORE (IS MORE). Besides, If the entire squad isn’t in MATCHING JINGLE JAMMIES, are you even holidaying? Cuddle up with Old Navy’s cutest & most hilarious prints yet, like scarf-wearing sloths & sleigh-riding pugs, that are great for the whole fam (and the ‘Gram, of course). We love Ten Thousand Villages’ commitment to offering unique, globally responsible products that create opportunities for artisans in developing countries to earn a fair and stable income. Each handcrafted item carries a beautiful back story about the culture, traditions and skills of the artisan, and you’ll know that each product sold makes a real difference for individuals, for families and for entire communities. Maybe you’ll scoop up a delicate Love n’ Lace Cake Tray or a Wrapped Bombshell Ring for someone special, or indulge yourself with Divine Mini Assorted Chocolates and a hot bath with Sacred Mark Cinnamon Soap. You’ll feel good and DO good no matter what you choose! Gurrrrrrl. Why are you wasting time with those old, tangled earbuds? 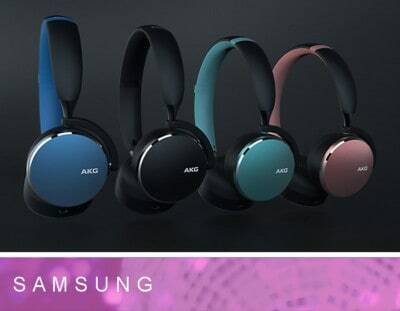 Jack up your listening experience with a new set of AKG by Harman Y500 Wireless Headphones from Samsung! Samsung and Harman bring 70(!) years of award-winning design experience to the table, offering four chic shades and giving you ultimate control. These sweet babies will auto pause when taken off and resume playing automatically when you put them on, so you’ll never miss a beat. Whether you’re a world-class DJ or just wanna rock out in your PJs, you’ll never wanna take these off! Loblaws is our go-to for basically EVERYTHING, so you’ll have no problem using up this sweet $100 gift card. Look, we know the holidays can be expensive, especially for those taking on new holiday responsibilities (from hosting in-laws to gearing up for baby’s first Christmas). In fact, one third of Canadians will be experiencing a first this holiday season, which is a whopping 49% increase among millennials. 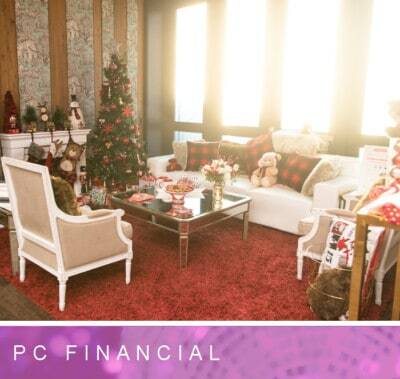 With a PC Financial Mastercard, you can earn 3X PC Optimum points for every dollar you spend when you use your PC Financial World Elite Mastercard as you shop, helping to soften the impact that holiday spending can have on your wallet. From new products, courtesy of their PC Insiders Collection (Meringata, anyone? ), to the fresh and tasty staples you’ve come to expect, you’ll find no shortage of delectable offerings for ALL of your holiday entertaining. Readers must be 19+ at time of entry.